I was starting to write a lot of 6502 Assembly language code and realised that this was how many of the home computer games of the time managed to get fast graphic animation. This project was something that built up from simple experiments moving sprites around the screen, adding collision detection functionality, enhancing the code to work with arrays of sprites, and eventually turning the experiment into a game. Its worth noting that the BBC Micro did not have hardware sprites, so this had to be done in bespoke assembly language routines. 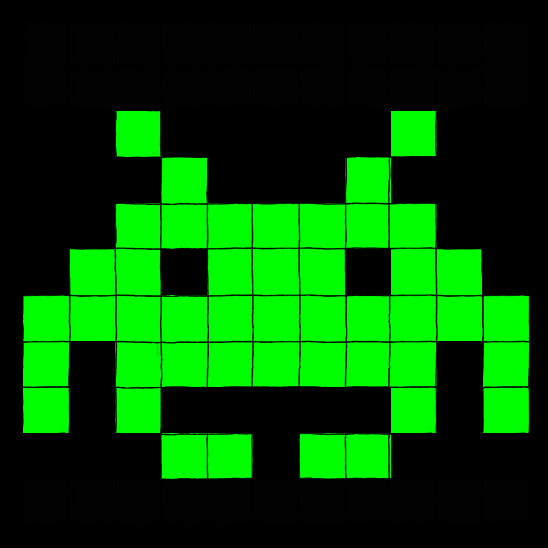 The game itself was similar to space invaders, but the invaders occasionally peeled off for bombing raids. This project did not sell, but it was probably the only one of my games that finished up with good enough game-play for me to actually enjoy playing it as well as coding it.